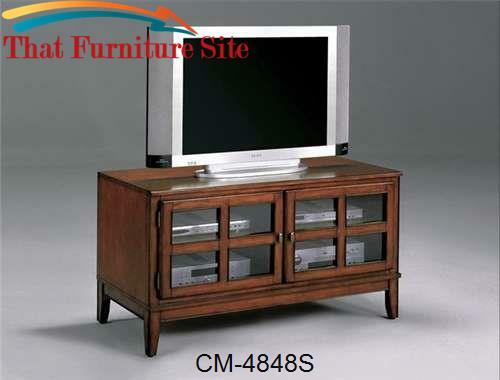 This stylish and convenient media console will be a wonderful addition to your living room or family room. 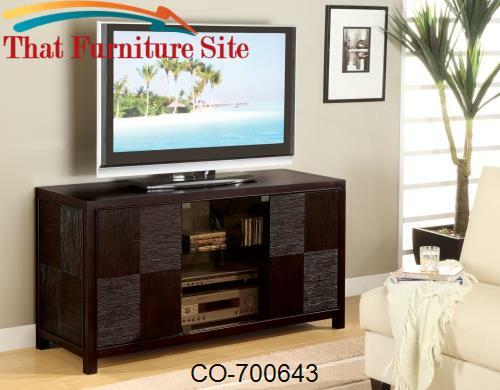 The piece has a classic look, with a rich Black finish. 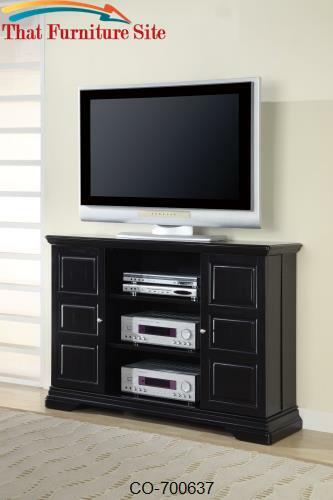 Simple molding at the base, and a paneled door on each end are stylish and sophisticated. 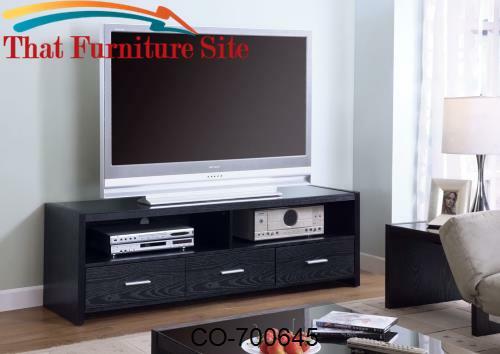 Place your television atop the generously sized top surface, and electronics components on the three large open shelves below. The two end doors open to reveal spacious enclosed storage for CD's and DVD's, allowing you to keep movies, music, and games out of sight. 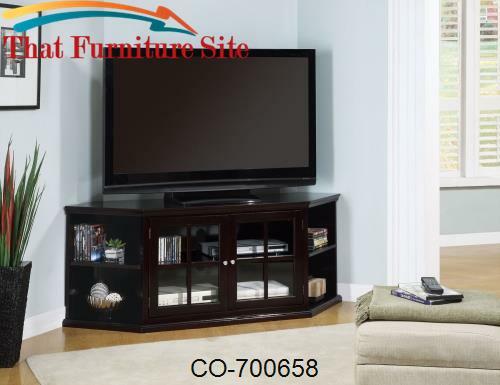 Constructed of poplar mix and birch veneers, this TV stand is sturdy, creating a long-lasting and stylish console for storing all of your media equipment. 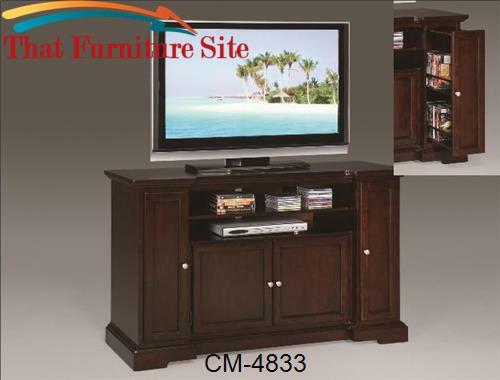 A similar console is available in a Dark Brown finish.